What does it take to reach the finish line—to fulfill your calling with joy? Track with me a minute here. 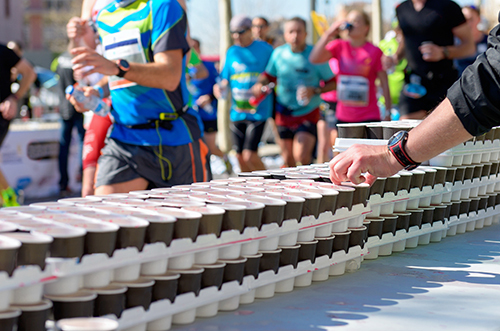 We can learn something from marathon runners about going the distance while serving cross-culturally. Multiple writers on the subject have suggested that long-distance running requires pre-meditated hydration and nutrition intake to sustain one’s body at optimal performance. The very nature of the activity leads to depletion. So it is with cross-cultural service: The very nature of your work depletes your spiritual, emotional, relational, and physical resources. You don’t need sustenance because you are broken; you need sustenance to continue the race because you are doing the very thing you are called to. participating in a group for personal growth. If you don’t have these checkpoints along your race, let GRC provide them for you. You have enough to worry about; we will take care of sustaining you with joy and faithfulness along the way. While the other services can be scheduled throughout the year, we currently have open registration for several groups, but space is limited and the deadline to register is coming soon: March 31, 2019!